Sunshine Coast’s Caloundra is a beautiful beachside city located just one hour north of Brisbane, offering an array of activities for a great holiday experience. Caloundra is surrounded by some of the most spectacular natural beaches Queensland has to offer, suitable for the whole family. 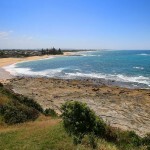 On any day, you can visit any of the amazing six beaches, including Golden Beach, Bulcock Beach, Kings Beach, Shelley Beach, Moffat Beach and Dicky Beach. Moffat Beach is home to a number of shopping opportunities, with pristine waters suitable for the whole family. 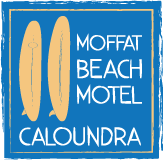 Our Caloundra motel is minutes walk from the Moffat Beach waterfront and cafes. Dicky Beach was named after SS Dicky, which ran aground in 1893. Until recently, the wreck was visible on the beachfront, but in 2013 was relocated to the adjacent park to assist with conservation. Although the wreck has moved, the beach remains a beautiful place to visit. Walking along the Boardwalk will take you to Kings Beach. Kings Beach is again full of exciting activities, including the beach itself, the waterpark and ocean water swimming pool. It is also home to a number of Caloundra’s music festivals throughout the year. Bulcock Beach offers calm waters close to the beach perfect for the little ones to have a day full of fun. Close by to a selection of shops and fine dining, Bulock Beach is a mecca of activity at almost all hours. Golden Beach is located right on the northern tip of the Pumistone Passage, overlooking the uninhabited top end of Bribie Island. The relatively slow moving passage is perfect for water sports with spectators able to watch on and picnic from the adjoining nature strip under the shade of the multitude of large trees. Shelley Beach is a quiet hideaway beach, overlooking the open ocean. It’s perfect for a relaxing day on the beachfront. Other than the bountiful beaches, Caloundra is home to a great selection of shops and dining fit for the most extreme shopaholics and food connoisseurs. 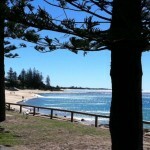 Our Caloundra accommodation is central, ensuring you have easy access to everything on offer.